Model T Ford Forum: Gasket between crankshaft and drive shaft? Gasket between crankshaft and drive shaft? Model T Ford Forum: Forum 2014: Gasket between crankshaft and drive shaft? 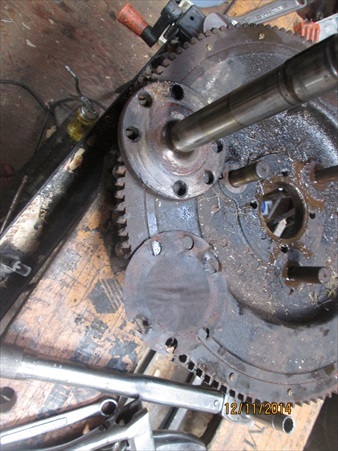 I am pulling a 1913 engine apart that we bought in Duluth during the summer and I found a paper gasket between the crankshaft and the drive shaft that runs thru the transmission. The gasket is about 0.004" thick. I have never seen this is forty years of working on Model T engines and I don't recall seeing such a gasket in any of the commercial gasket sets. Haven't heard about that before - but if the distances between magnets and coils are even but a bit tight, then it would be an alternative way to increase the distance.. Nothing to seal there, so a magneto shim is the only use I can think of, though the usual shims between the coil and the engine block should work better. Not original, neither is that fly wheel for your 13. I also found one of these spacer gaskets in a 21 I rebuilt. My thoughts were that for some reason more space was needed between the field coil and the magnets. That's a piece of roofing tar paper, used as a shim to get the coil ring to magnet gap. 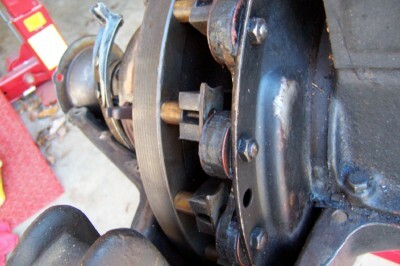 Something that was done by shade tree mechanics to gap the magneto. Pretty lame idea, upsets the 4th main alignment. Took this motor apart and it had such a homemade gasket there of tar paper, and mis-matched coil ring and magnets too. Found this in a engine. 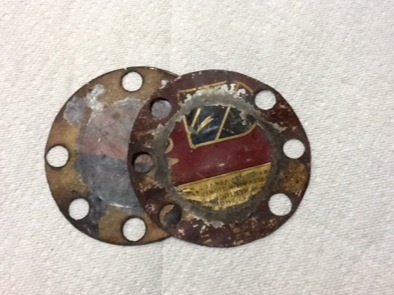 Looks like a couple of shims made from a tobacco can.